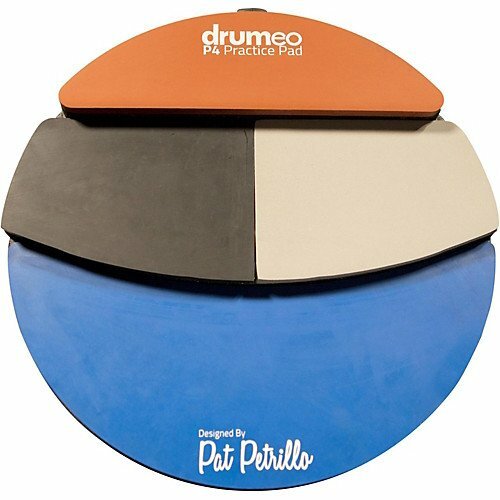 What is The Best Drum Practice Pad? This Evans RealFeel practice pad is the most popular drumming practice pad on the market, and for good reason! It’s the best practice substitute to an acoustic drum set and it can be played anywhere! It is mountable either on a snare stand or can be played on a tabletop. This pad is made from high quality materials in the USA and it’s brilliantly versatile. The pad consists of two different playing surfaces. One side is made of natural gum for a realistic drumming rebound, and the other side it is comprised of a natural harder recycled rubber. This side offers less rebound that means you will need to work harder and makes it an excellent workout pad! With this practice pad you receive excellent value for money with the two types of playing surfaces as well as a large size pad of 12 inches to play on. I found both sides of this pad a joy to play, and the pad was nice and quiet! Meaning you’ll be able to practice without disturbing anyone else. This is the best drum practice pad on the market and it will offer you many years of service, allowing you to develop greater control and speed anywhere you like! Up next we have the Drumeo P4 practice pad that makes use of four different playing surfaces! This drum pad is definitely the most versatile practice pad available on the market, and is made from very durable, high quality materials. The four different playing surfaces are tiered on 3 different heights, which feels like you are playing the different parts of the drum kit. All the playing surfaces offer entirely different playing responses. The cream surface gives less bounce and practicing on this surface improves endurance and stamina, whilst the blue surface is made from gum rubber and offers a realistic snare drum playing surface. Having the four playing surfaces at your disposal simulates movement around the kit which is something you can’t achieve with the other practice pads on the market! For this reason it is the best drum practice pad for simulating a real drum set experience. 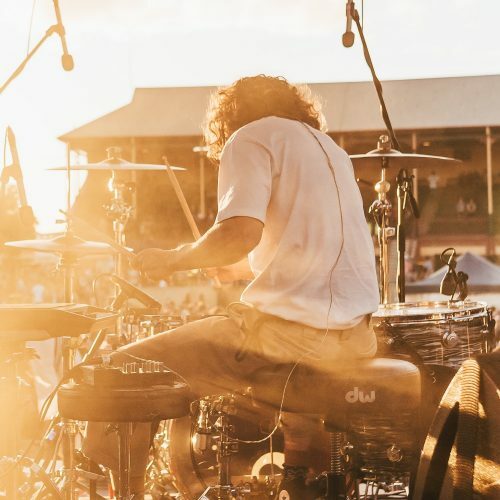 You will be able to develop greater speed, accuracy, control and power across all the surfaces and transition your musical ideas across to a full drum kit with ease! Up next we have Vic Firth’s offering to the drum practice pad market. My first impressions are that it is a durable and high quality practice pad and it has been designed well. It features two differing playing surfaces, offering you the choice of a workout pad or a light and bouncy cushioned pad- perfect for developing rudiments and control. Playing this practice pad on both sides offers fantastic response and articulation. The softer rubber side replicates a concert snare drum, whilst the harder plastic side mimics a marching snare drum playing experience. The construction of the Vic Firth double sized practice pad is excellent, and it performs quietly meaning you won’t have to disturb anyone else whilst you practice. It’s a good size pad meaning it offers a realistic snare drum playing experience yet it is also portable enough to be transported in a bag anywhere! I thoroughly recommend this product to anyone looking at a high quality, quiet and portable practice pad which offers good value for money. This practice pad by Offworld Percussion is a very interesting pad to say the least. It is distinctively made from durable materials and holds a substantial weight. Its 14 inches in diameter is the same size as a snare drum. By far this is the best drum practice pad for replicating a traditional snare drum, with the full playing surface comprised of a durable and advanced polymer material which replicates a tightened up snare drum head. 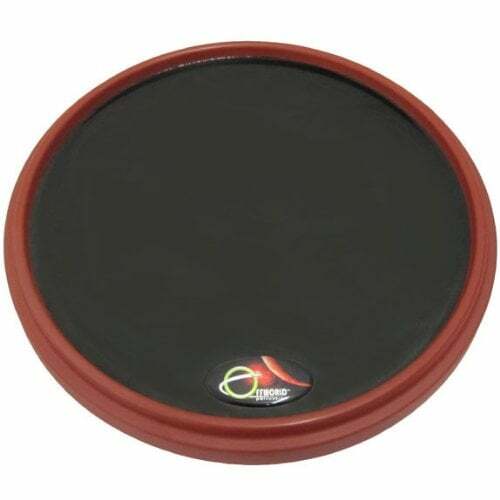 This drum pad also features a unique, patented rim that is virtually indestructible and will not damage your drumsticks as much as a traditional metal hoop. Playing this pad felt great, and the rim offers satisfying rimshots with a pronounced and articulate tone. At a weight of 5 pounds, it is very hefty and substantial. The quality of the manufacturing is definitely noticeable in this product and it is truly a satisfying practice pad to play. The Offworld Percussion Invader practice pad is an excellent option if you want a pad that gives you an incredibly realistic snare drum playing experience and you want to achieve great rimshots. Remo are perhaps the greatest drumhead manufacturers in the world, and their efforts have been successful in producing a great quality practice pad with this excellent example. This practice pad is very different from the others I have reviewed. This one features a genuine Remo drumhead and is tunable to adjust the tightness of the skin and thus change the level of bounce received from playing it as a result. What’s so great about this drum pad is that it provides a playing experience as close as possible to the real thing! And you can tune it exactly to your liking. It is the perfect tool for the maturing drummer looking to develop his hand control and speed at home or on the go. The Remo tunable practice pad is built from solid materials and has a protective rubber bottom for non-slip use. It is also possible to mount it on a stand. In operation I found it great to play on and I received a brilliant and realistic playing response that felt great underneath the drumsticks. The bounce and feel is just like playing a small snare drum! The two drawbacks I have of this pad are that it’s not as large as the other practice pads I have reviewed and it is slightly noisier to play. But it is also significantly the cheapest offering, which means it is also excellent value for money. It is, however, the best drum practice pad for portability, given its compact 8″ diameter! And despite the low price it is manufactured very well, and has the quality you would expect from Remo USA. Drumming practice pads are fantastic pieces of equipment for any developing drummer! 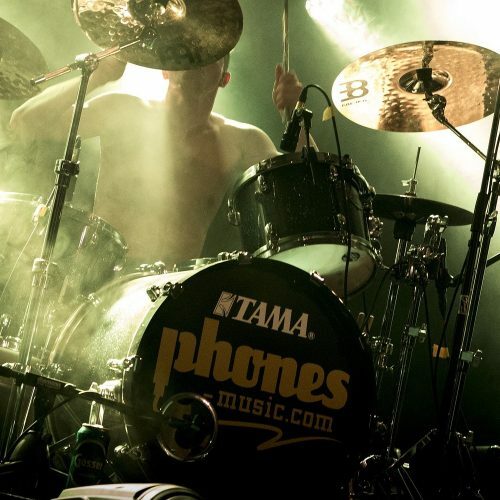 They are far more portable than traditional drum kits and can quickly and easily fit in a bag for transportation. The freedom and flexibility they offer mean you can practice anytime and anywhere. 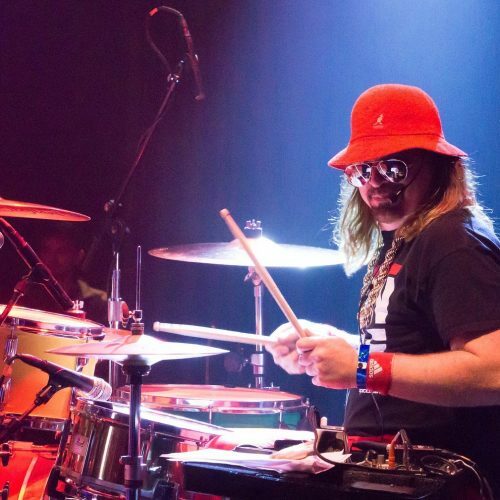 There are no limits to being able to work on your chops and grooves! Practicing is essential for any drummer. If you are looking to enhance your playing ability then a practice pad will be your first port of call! 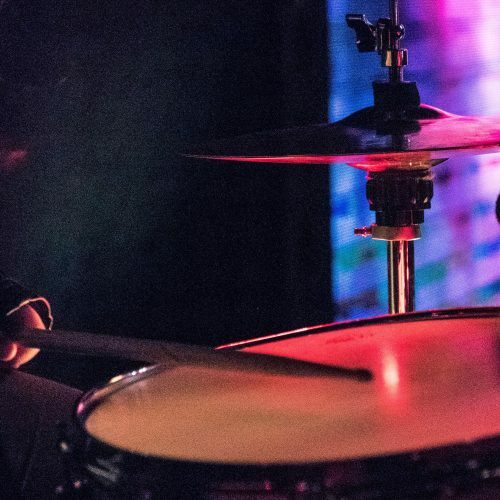 Whilst all drum practice pads provide the same function, there are different features you can expect from practice pads, and knowing what you want will enable you to make a correct decision for your purchase! All the drum practice pads I have listed in this product guide vary in size. The smallest drum pad I have recommended is the Remo Tunable Practice Pad that is 8 inches, whilst the largest offering is the Offworld Percussion Practice Pad and that is 14 inches in diameter. The benefit of a smaller pad is that it is lighter and extra portable. 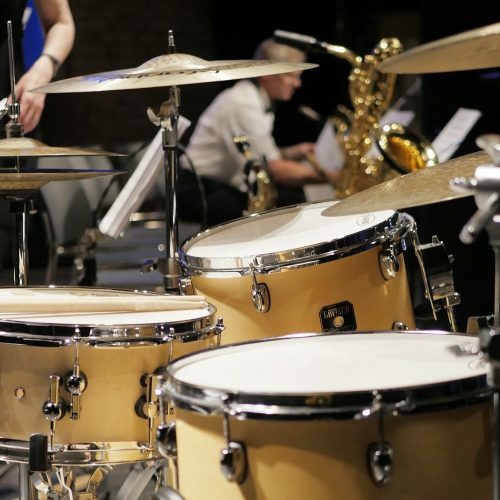 The tradeoff however is that there is a smaller surface to practice on, and it does not accurately replicate playing on a full size snare drum. The larger 12 and 14-inch practice pads feel more hefty and stable, and provider a more solid foundation beneath your sticks. They also offer a wider surface area of playing which gives a more satisfying playing experience overall. 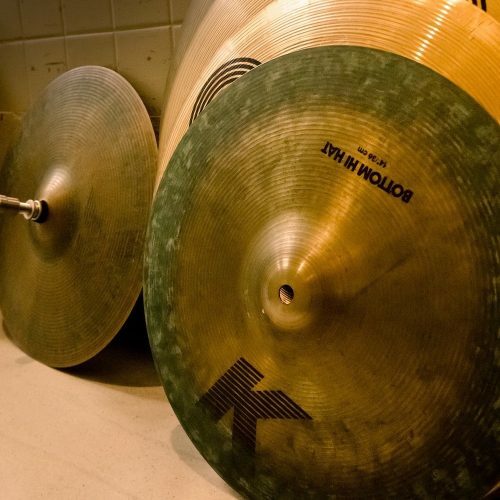 Practice pads are manufactured with different materials and this is an important aspect to consider when buying a new drum pad. The materials used in the construction of the unit will reflect the responsiveness and playing experience received from playing. The best drum practice pads are all constructed from high quality materials. Soft gum rubber will provide a cushioned and bouncier playing experience that you can expect to receive from a typical snare drum. The soft rubber surface is fun and satisfying to play on, but it does not develop your wrist strength and speed as much as the tougher neoprene rubber. This surface does not provide much bounce, meaning you will need to put in more effort into practice. 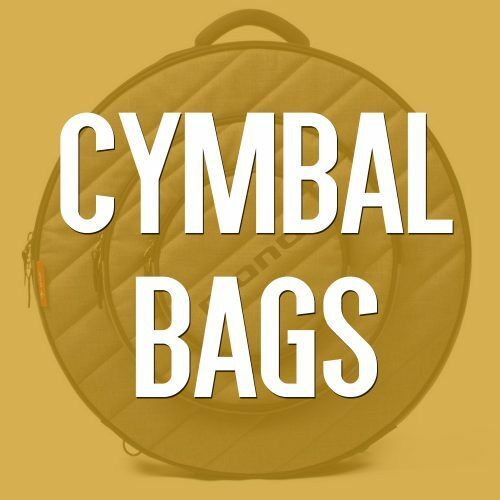 None of the practice pads I have listed are completely silent, but they are much more quiet alternatives to practicing on both electronic drum sets and acoustic drum sets. A quiet practice pad will not disturb anyone in a different room in a house. The sound will be contained to only that within a very small radius of the player. The softer practice pads I have reviewed are the ones that are composed of a soft cushioned material such as the Evans RealFeel Practice Pad and the Vic Firth Double Sided practice pad. These two pads feature both a soft gum rubber surface as well as a tougher more durable playing side. The best drum practice pad is one that is versatile, quiet, responsive and satisfying to play. All of the pads in this guide are excellent options, but for me the Evans RealFeel trumps the competition. Its two sides mean you have the option of two fantastic playing surfaces and its 12 inches mean it is substantial enough yet also portable for easy transportation. 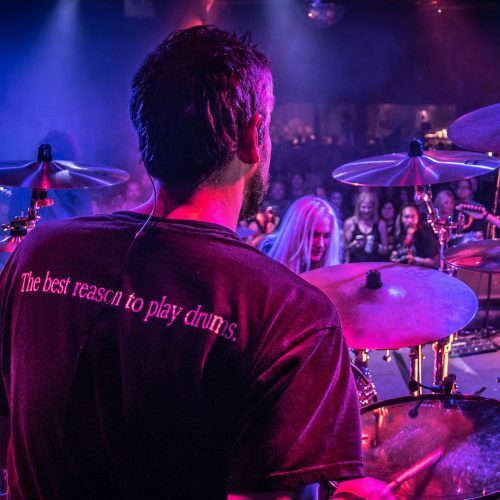 Playing on a practice pad is a highly profitable method of developing greater control and technique on the drums. 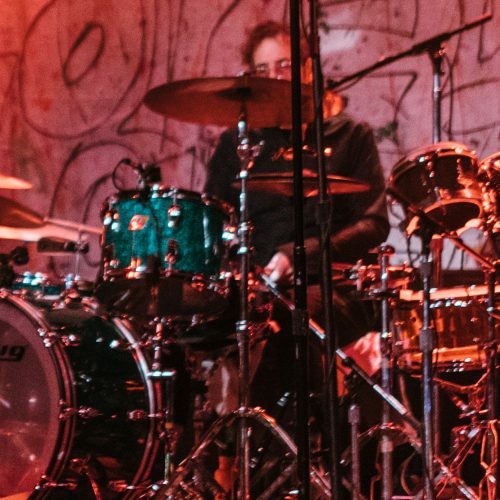 Effectively managing your time and practicing on a drum pad whilst you are unable to play on a full drum set means you can develop your techniques to then transition onto the full kit when you are finally able to play. A drum practice pad is truly a fantastic investment when you consider the price and the number of years of valuable use you can expect from the product in return. Finally you are able to work on your technique and achieve a satisfying playing experience without the need for having to set up and take a full size drum set with you everywhere you go!